Are you tired of the wear and tear from your existing cabinets in Hammonton, NJ? Are you building a kitchen or bathroom from the ground up and need storage space? 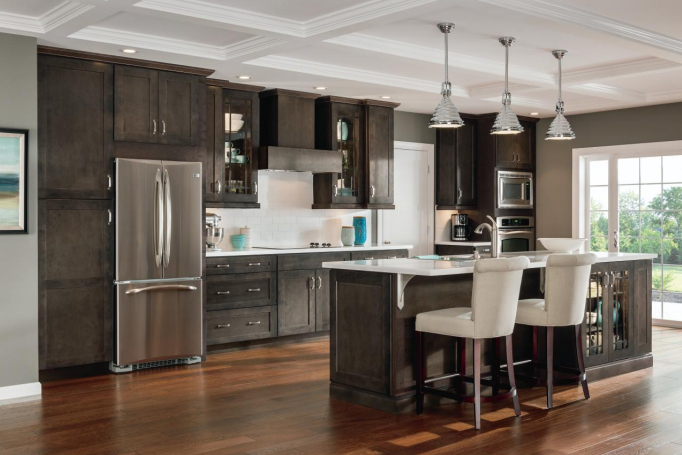 Our team of professionals is here to help you find or design the perfect cabinets for your home. From swing-out shelving to under-cabinet lighting, our store has everything you need for your project. No matter how small or big your kitchen may be, our staff is dedicated to creating kitchen cabinets that optimize your available space. Additionally, it’s important to make sure that you have kitchen cabinets that can store everything you need without overcrowding the area. Cooking equipment, food, silverware, and dishes all need to be taken into account during the planning stages. Come and take a tour of our wide selections and start designing the kitchen you’ve always wanted. Vanities are a staple in today’s modern bathroom. It’s the centerpiece around which your bathroom is built. That is why we take considerable attention when planning what type of vanity you want in your home. Meeting with our team to discuss your needs gives us a better idea about what design may be best for you. Storage for toiletries, cleaning products, hairdryers, shaving tools, and anything else that you want easy access to should all be kept in mind. The size of your bathroom will always be taken into account when constructing vanities. Our trained professionals will measure your existing bathroom to ensure your vanity is just the right size and that the building and installation process is seamless. Work with us and you have the ability to decide exactly what materials go into making your custom cabinets. You have the option to design your cabinets from the ground up. This even includes having a final say on the type of material, style, and finish needed to make your cabinets that much more beautiful and functional. Custom cabinets not only meet your quality desires, but your functional needs as well. This means that if you’re having trouble reaching for those top-shelf items, we keep that in mind when building your cabinets. As well, if it’s inconvenient to reach low-level shelves, we construct cabinets that you can easily access. Once you’ve decided on the types of cabinets that you want, it’s time to schedule a convenient day and time for installation. We make sure that your cabinet installation is of the highest standard and quality. If you have existing cabinetry, we gladly remove and properly dispose of them for you. We offer a Confidence Plus Warranty that means if you are not happy with your cabinets within the first 30 days, we replace them free of charge. Contact us today for your free in-home estimate for new kitchen and bathroom cabinets. We proudly serve the customers from Hammonton, Cape May, Vineland, Ocean City, and Atlantic City, New Jersey, and the surrounding areas.